Heated pumps utilize the head components of the temperature-resistant version as well as the thermostatic or electronic control to prevent condensation in the pump head. For analysis of hot gases, it is critical that the gas sample temperature remain constant. Otherwise, the constituent parts could condense out, leading to inaccurate results. In all models of KNF temperature-resistant and heated pumps, the pump head is completely sealed by a removable cover. This encapsulation leads to excellent heat insulation and an even saturation of heat distribution in the pump head. As the insulation unit requires easy removal, a method of insulation was chosen which is not in direct contact with the pump head. 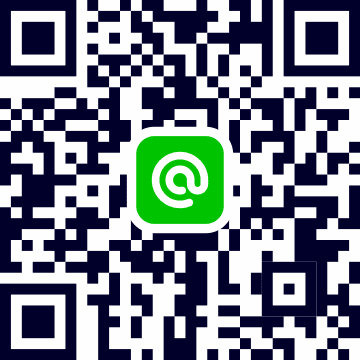 Therefore, only air comes into direct contact with the pump head. Air, with an extremely low thermal conductivity of (= 0,038 W / m K), at 200 °C, limits heat transfer very effectively. Heat transfer through convection is also extremely low because of the small volume of air. 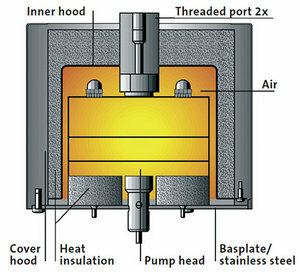 Up to 85 percent of the radiation is reflected by an internal, stainless steel cover, again resulting in an even heat saturation within the pump head. In addition, thermal insulation is provided by fleece material made of glass fibres. This is protected, by a the stainless steel cover, from direct heat radiation so that its only purpose is to limit thermal conduction. On the outside, a protective cover provides the final insulation and protection against contact (as shown in the drawing below). KNF Modular System permits a wide range of customizations and options, for example, explosion-proof models or motors with different voltages and frequencies are all available on request. Contact us to learn more.